Reel Talk Online: "The Expendables"
Sylvester Stallone is arguably one of the greatest action stars of all time. 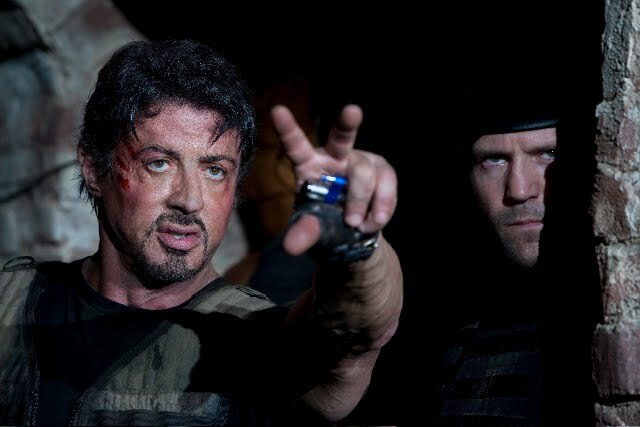 So when he rounded up some of action's other big names--Jet Li, Jsson Statham and Bruce Willis--and brought along Mickey Rourke, "Stone Cold" Steve Austin, Eric Roberts and up and coming action giant Terry Crews for the action-packed The Expendables, audiences knew they were in for a thrill ride. Luckily for us The Expendables did not disappoint. If you appreciated the realistic smack down action of such classic flicks as Rocky, then you'll devour The Expendables. In this high-powered, testorone-filled bloody bromance of a movie, the team stars as mercenaries hired by a mysterious Mr. Church (Willis) to take down a ruthless South American dictator in one of their most dangerous missions yet. Only when they get down there does Barney (Stallone) learn the true nature of the country's conflict as he and the rest of the trigger-happy, grenade-wielding fellas fight to save the dictator's rebellious daughter from falling prey to her own beliefs amidst turmoil. The Expendables is more than just your average action movie; it is the action movie of the year uniting the grittiness and soul of the old genre with the special effects and coolness of the new genre. See it.